Not all chili has tomatoes! 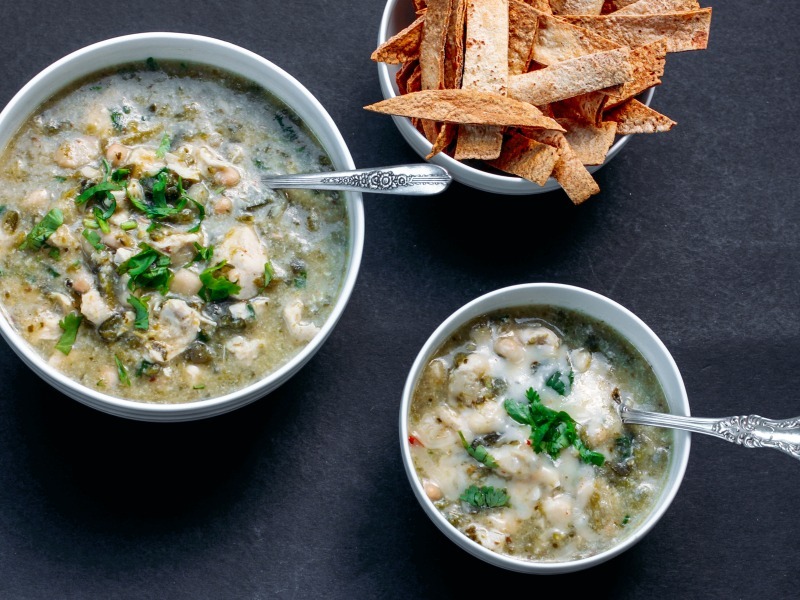 Try this white chili with chicken, poblano peppers, and white beans for a different take on one of America's favorite dishes. This one is done in the slow cooker so you have only a few minutes of prep before you let your appliance do the rest of the work! Execute your prep the night before you want to make this, so you can just dump everything into your cooker and get going on your morning. Per Serving: 430 calories; 11g fat; 31.5g carbohydrates; 50g protein; 115mg cholesterol; 3571mg sodium. I love poblano peppers so any time I have a chance to cook with them I'm happy! I have traditionally used them in a sauce, and they taste equally good in this chili! Adds the perfect amount of heat without being too spicy. I also love the garlic and cumin flavors. Such a perfect recipe for those cold winter days. One of my favorite chili recipes! We used cannellini beans and shredded chicken. Super pleased with the results, I ate about 3 bowls in one sitting. Very good. 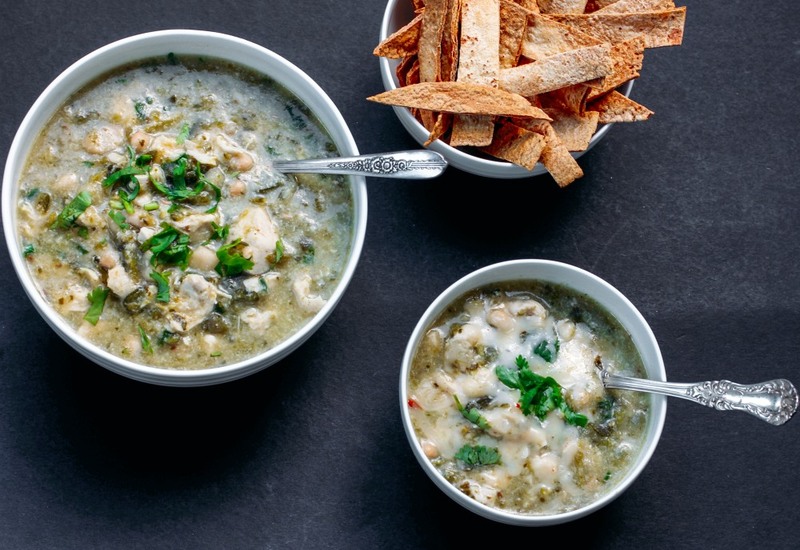 Obsessed with this slow cooker Mexican white chili. White beans are so underrated. I prefer to use them in all my chilis because they give off such great flavor. The poblano chiles are also a favorite. My husband always begs me to make this on game day! Delicious white bean chili! Almost reminds me of a delicious Mexican-inspired chicken soup with the cilantro and jack cheese. This chili has a whole lot of flavor with the onion and peppers. Definitely one of my favorite dishes I've made thus far. Delicious! I’m learning still and wondered why not use the chili/bean mode? Things that make you go hmmmm??? ?